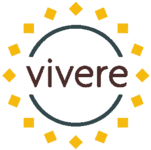 Vivere is a pet friendly community. We welcome 2 pets per apartment up to 75 pounds. Our pet deposit, due at move-in is $600 and our monthly pet rent $75 per pet, per month. Some breed restrictions and weight limits apply. Please contact the Leasing Center for our complete pet policy. Parking Comment: We offer assigned parking with each apartment home. Please contact our Leasing Center for more parking information. Experience the Best Apartment Living in Los Gatos, CA Today! Custom Residence Amenities: Open and spacious main living areas featuring gourmet kitchens with stainless steel appliances, custom wood cabinetry and quartz countertops. A dining nook or breakfast bar offers options for gathering with friends and family while spacious walk in closets and in-home washers and dryers in some homes makes everyday life easier. Expansive private patios or balconies expand your living space and the large picture windows take advantage of the gorgeous panoramic views of the community's pool, courtyard and the Santa Cruz mountains.